Sign up to receive budget updates by clicking here. Want to read past budget updates?  Scroll down or click here. The Sacramento City Unified School District’s budget has been disapproved because its costs exceed its revenues and it cannot financially sustain itself in future years. The District must now achieve $35 million in cuts and/or cost savings by June 2019 to balance the budget, meet the state’s minimum reserve requirement and save our schools from a state takeover. Click here to read the Sacramento County Office of Education’s August 2018 letter disapproving the district’s adopted budget and calling for more cuts. If the District does not make these cuts by June, it risks insolvency and state takeover. The District is currently projected to run out of cash by November 2019. A December 2018 fiscal health risk analysis by the state’s Fiscal Crisis Management and Assistance Team (FCMAT) identified the source of the District’s fiscal challenges. FCMAT found that the District spends 91 percent of every dollar on employee benefits and salaries–6 percent more than the average for unified school districts in California. To help identify where cost savings can be achieved, FCMAT instructed the District to identify outliers in its spending. One of the District’s biggest spending outliers and the area where significant cost savings can be achieved, is in the area of employee health care costs.  Sac City Unified spends more per pupil to provide employee health benefits than any other school district in California. The District can save up to $16 million or more if all labor unions agree to switch employees to more affordable health plans that offer comparable benefits. To view how much more Sac City Unified spends on its employee health costs compared to surrounding school districts in the area, click here. Currently, four out of five District labor unions have initiated contract negotiations with the District and formed a labor-management consortium (LMC) focused on reducing spending on benefits. The LMC is made up of SEIU 1021, United Professional Educators, Teamsters Local 150 and Classified Supervisors. Their goal is to work collaboratively with the District to reduce the 91 percent of every dollar spent on benefits and salaries by making shared sacrifices that will save our schools from a state takeover and protect funding for student needs. Leaders of the Sacramento City Teachers Association have not yet accepted the invitation to join the LMC. They have also not accepted a date to meet with the District to initiate contract negotiations. Superintendent Aguilar has asked for the SCTA to agree to a neutral facilitator to help mediate discussions. Instead, SCTA leaders have submitted their cost savings ideas to the District. Their ideas rely in large part on making cuts to Central Office Administrators, an area where the District already spends significantly less of its general fund dollars compared to surrounding school districts. On February 14, 2019, County Superintendent Dave Gordon wrote a letter to SCTA leaders with an analysis of their cost savings ideas. Superintendent Gordon indicated that SCTA’s ideas would not generate the amount of savings that SCTA leaders have claimed. Click here to view Superintendent Gordon’s analysis of SCTA’s cost savings ideas. The District will continue inviting leaders of SCTA to commence contract negotiations focused on saving our schools. Sign up below to receive the latest budget updates, and to view the archive of past budget updates. If you are interested in receiving our budget update emails, please sign up here. At tomorrow’s April 4, 2019 Board of Education meeting, there will be a presentation on the District’s cash flow report. Click here to view the meeting agenda and packet. The meeting will start at 6 p.m. and is at the Serna Center (5735 47th Avenue, Sacramento, CA 95824). The cash flow report item is scheduled to start at approximately 7:30 p.m. You can watch a livestream of the meeting at this link. We will continue to keep you updated on our budget situation and upcoming meetings. For more information, please visit our budget updates page or read answers to our most frequently asked questions. This strike is unnecessary and will only hurt students, families and employees by putting the district on the fast track to a state takeover. A state takeover will result in less money for our students and do serious harm to the city’s public schools for many years to come. Our students do not deserve to be put through the hardships that will be caused by this strike. We will continue encouraging SCTA leaders to work with us in the coming days to focus on saving our schools from a state takeover and finding more collaborative ways to resolve their disagreements with the District. Also, earlier this afternoon Superintendent Jorge Aguilar sent this letter to SCTA leadership to be shared with the SCTA council prior to their vote to set a strike date. For updates on this developing situation, please visit our website. To sign up for future budget alerts, please visit our budget updates page. Today, we launched an important new tool that will improve budget transparency by providing the general public with direct access to real-time information about the District’s budget and its expenditures.  This “Sac City Unified Budget Dashboard” tool allows any member of the community to now view and access the same financial information that our budget department staff is able to access through our financial system. Click here to access the Sac City Unified Budget Dashboard. Transparency will be critical to solving our budget challenges and our community must be able to see how spending cuts impact our total budget. For example, despite the Board of Education taking action last night to cut 33 administrator positions, put a cap on administrative spending, reduce unused vacation accruals and other cost savings measures, the District still needs to make additional cuts to eliminate our structural budget deficit and save our schools from a takeover. This new tool will help the public see firsthand how we are spending our money and the impact that cuts will have on our budget.  We are interested in getting your feedback on this new tool. If you have questions, comments or suggestions about the new Sac City Unified Budget Dashboard, please submit them here. Thank you for your interest and requests to better understand how we work through our budget challenges. For more information about our budget situation and to review previous Budget Alerts and updates, please visit our webpage or see answers to our budget Frequently Asked Questions. 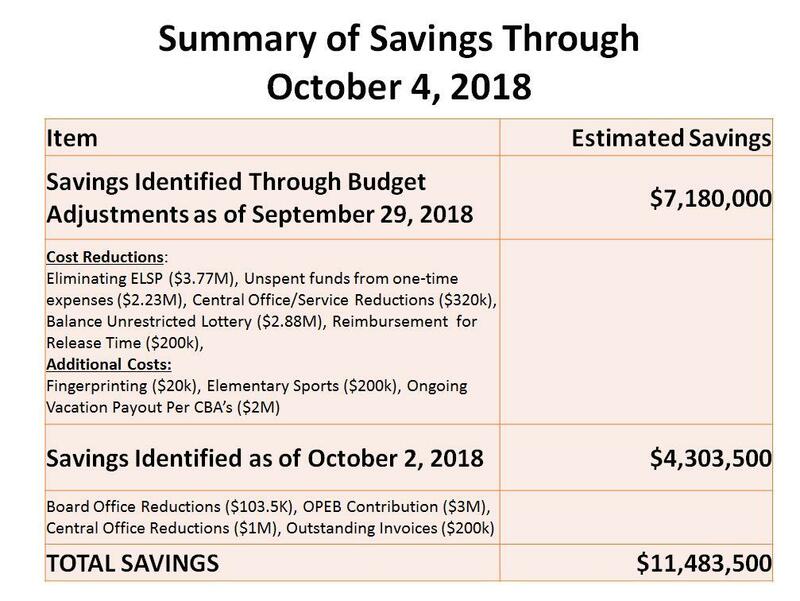 The Sacramento City Unified Board of Education tonight made additional reductions to central office administration and other administrative spending. The cuts add to the $1 million of previously made cuts to the central office administration. These actions reduce the District’s total expenditures on central office administration to an estimated 4% of the total general fund—significantly lower than the average for school districts in Sacramento County. The Board will continue to seek working with labor partners to achieve health cost and other savings to save our schools from a takeover. For more information visit our budget webpage or see answers to frequently asked questions. 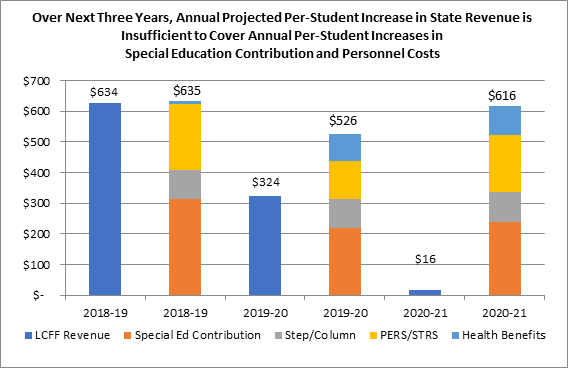 On February 14, 2019, Sacramento County Superintendent Dave Gordon completed an analysis of several cost savings ideas submitted by leaders of the Sacramento City Teachers Association. For example, since September 2018, SCTA leaders have stated that the District could save $16 million by “reducing central office administrators”. However, according to Superintendent Gordon’s analysis, if the District made a 20 percent reduction to its unrestricted central office administration, that would only generate $1.6 million in savings, not the $16 million stated by SCTA leaders. Click here to view Superintendent Gordon’s full letter to SCTA leaders. Superintendent Gordon also wrote that within the central support functions of the district, total unrestricted administrator (certificated and classified) salary and benefit costs are less than $8 million. The District has already made $1 million in cuts to central office administration and continues seeking more cuts in this area. In summary, the District cannot rely on central office administrative cuts to eliminate the structural budget deficit. As we continue looking for additional savings and efficiencies, the most viable solution to the District’s budget challenges remains calling on all labor partners to work collaboratively with the District to rebalance employee health benefits contributions while still continuing to provide high quality benefit plans to employees. Four of five District labor union partners have commenced contract negotiations with a goal of rebalancing employee health benefits. The District is awaiting commencement of contract negotiations with SCTA leadership. For more information on our budget situation, please visit our website or read responses to frequently asked questions. Thank you.  This email is to notify you that the Sacramento City Unified Board of Education will be presented with the Second Interim Financial Report and fiscal recovery plan this Thursday, March 7, 2019. The meeting starts at 6 p.m. and will take place at the Serna Center (5735 47th Avenue, Sacramento, CA 95824). The fiscal recovery plan that will be presented continues to prioritize making cuts away from services and programs that serve our students. To view the Board meeting agenda and packet, please click here. For more information on our budget situation, please visit our web page or see answers to frequently asked questions. Thank you. In recent weeks, we have received many questions regarding the District’s plan for balancing the budget, the status of achieving health cost savings, implementation of a salary schedule adjustment for teachers, and other items.  This email is to notify you that we have updated the FAQ section of our website with answers to some of the most frequently asked questions. Below are the items that have been added to our FAQ’s. Click here to see responses to all frequently asked questions. Working with labor partners and employees to reduce spending is the District’s preferred plan. According to a December 2018 fiscal health risk analysis report from the state’s Fiscal Crisis Management and Assistance Team (FCMAT) the District is spending 91 cents of every unrestricted dollar on benefits and salaries. This amount exceeds the state average for unified school districts and is unsustainable. According to the FCMAT report: “The statewide average for unified school districts as of 2016-17 (the latest data available) is 84.63%. At 2018-19 first interim, the district is exceeding the statewide average by 6.37%.” Click here to access the full FCMAT report and scroll to page 17 for the reference about Sac City Unified’s high average for benefits and salary combined. What is the disagreement over the 3.5% salary schedule adjustment all about and how is it related to the budget? The District will continue to keep the community updated on the latest news and actions related to our budget situation. For more information, please visit our budget updates webpage. Thank you. As we shared last week, tonight the Board of Education took up important cost saving measures to help save our schools from a takeover and prioritize funding for students. The Board voted to start the process of reducing our staffing levels to match student needs based on the district’s actual and projected enrollment. These actions will result in an estimated cost savings of $5 million. Specifically, this means staffing levels will be reduced to match the district’s class size requirements. Moreover, early childhood programming will be reduced to save costs and focus on kinder readiness and our core mission of providing K-12 services. The funding the District receives from the state and federal government to run the program is not at a sufficient level to fully operate our early childhood programs. This has resulted in losses to the District’s unrestricted general fund. The District will be reducing its Pre-K programs next year to reduce these costs. Families that are impacted by these changes will be connected to other entities that provide these services to ensure continuity of care. The actions taken tonight to cut staffing levels to match the District’s actual service needs are an important step in multiple actions the Board will be taking in the coming weeks to save our schools from a takeover. Please follow our budget updates page to learn more. Thank you. At next Thursday’s Board of Education meeting, the District will be taking additional steps on implementing cost savings measures that are necessary to balance our budget and save our schools from a takeover.  Download the meeting agenda by clicking here. As we reported last month, the Governor’s proposed budget will not fix our budget challenges. We will need to continue to work with bargaining partners to achieve health care and other cost savings. These necessary steps may result in hardships for some of our employees. However, we must begin taking steps now to remain fiscally solvent and be able to continue addressing the needs of our students. We appreciate SEIU 1021, United Professional Educators, Teamsters Classified Supervisors and Teamsters Local 150, for beginning the negotiations process with the District in January. Superintendent Aguilar has reached out to SCTA leaders since November asking them to offer dates to begin bargaining. Given the longstanding strained relationship with our teachers’ union, and because we cannot afford to lose any more time, Superintendent Aguilar again today asked SCTA leaders to agree to begin negotiations, and to agree to a neutral facilitator, to help both sides reach agreement on what are the necessary steps we must take to help save our schools.  Click here to watch Superintendent Aguilar’s video statement. We will continue keeping you posted on actions we are taking to save our schools from a takeover. For more information, please visit our website. Thank you. As has been widely reported, Sacramento City Unified Schools are projected to run out of cash in November. Unless significant spending cuts are made by June to balance the budget and meet state required reserve levels, the district will be taken over. Although the District is working on solutions to save our schools from a takeover*, this situation has understandably prompted many questions and concerns from our community about what would happen if a takeover occurs. To help you get the facts about what insolvency and takeover would mean for our schools, please click here to download a fact sheet or see the facts below. There would be less money to spend on students. When an insolvent school district gets taken over, a state loan is obtained to pay its bills. State loans charge an interest rate on the borrowed money. Therefore, in addition to making cuts to pay its bills, the District would need to make even more cuts to pay back the state loan with interest. This will result in less money available for our students. An Administrator takes over. Local control is lost. An Administrator would be appointed and the local school board would lose its decision-making authority. Part of the Administrator’s responsibilities is to identify cuts to balance the budget and repay the state loan with interest. Valuable student programs, services and schools could be cut out of the budget. Recovery could take 10 or more years. According to experts from the State’s Fiscal Crisis Management Assistance Team (FCMAT), school districts in California that have experienced a takeover take about 10 or more years to recover. It could be many years before parents and local community members in Sacramento would regain local control of our schools. Experts agree a takeover would be bad for our students. Experts from FCMAT presented to the Sacramento City Unified Board of Education on December 13, 2018 and warned District leaders that a takeover would not be in the best interest of our students. FCMAT has encouraged the District and its labor partners to work together to identify the cost savings necessary to avoid a takeover. Click here to download a printable version of this fact sheet. To receive updates on this issue, including upcoming district proposals that would save our schools, click here to sign up for budget updates. For more information, visit our budget updates page. Thank you for taking time to review this information. The District will be communicating with you again about our proposed solutions for avoiding a takeover. If you have any questions, please submit them here. *NOTE: While this process has traditionally been referred to as a “state takeover”, recent legislation made several changes to the state’s system for intervening in fiscally distressed school districts. Among the changes, takeover responsibilities shifted from the state to the county level. On November 16, 2018, we notified you of a complaint we filed in Sacramento County Superior Court requesting a declaration from the court on a salary schedule adjustment disagreement between the District and the Sacramento City Teachers Association (SCTA). A judge has now rendered a decision directing the parties to arbitrate their disagreement over the salary schedule adjustment. The outcome of the arbitration could have significant budget implications for the District. When the agreement with SCTA was reached, we understood that the terms included a mutually agreeable adjustment to the salary schedule in 2018-19 that should “not exceed a total district expenditure of 3.5%”, which the district has been and remains committed to honoring. SCTA has claimed that the District agreed to an expenditure that has been estimated at 7.1% for 2018-19 and thereafter. This amount is significantly higher than the amount we understood was agreed to by the parties, and which was actually approved by our Board of Education, reported to and approved by the Sacramento County Office of Education, and planned for in our budget. We respect the Court’s decision and look forward to presenting our facts in arbitration. We are committed to planning a budget that is focused on protecting core academic programs and enrichment opportunities for students, while protecting and maintaining the fiscal solvency of the District. For more budget alerts and information, please visit our website. On January 10th, Governor Gavin Newsom introduced his budget proposal for the 2019-20 fiscal year. As is our practice, the District has updated its budget projections in response to the Governor’s proposed budget. This email is to update the community on where our budget projections currently stand. It is important to note that budget projections are fluid. At the time of our 1st Interim Report last December, the District reported needing to make a minimum of $16 million in cuts for 2019-20 and another $36 million for 20-21. However, under the Governor’s proposed budget, and an updated forecast projecting continued declining enrollment in our schools, the District needs to cut $35 million for both years to completely eliminate the structural budget deficit, meet its financial obligations, and meet the 2 percent minimum reserve for each year as required by law. We appreciate the Governor’s increased investment in education. However, the biggest takeaway for our families is that our District’s fiscal challenges remain and we have to significantly reduce spending immediately to avoid running out of cash this year and being taken over by the state. 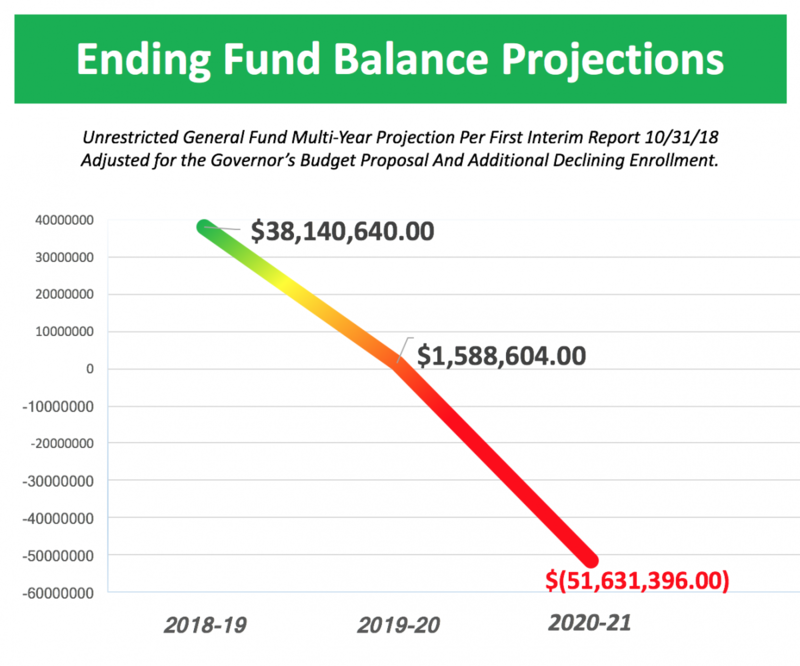 The chart below shows that despite our updated projections, the District’s fund balance will still be almost completely gone in 2019-20. The District will continue working with our labor partners to achieve the costs savings necessary to prioritize student needs and avoid a state takeover. As was reported two weeks ago in Budget Update #19 below, contract negotiations with a focus on making shared sacrifices to eliminate our structural budget deficit, have started with SEIU 1021, United Professional Educators (UPE), Teamsters Local 150 and Teamsters Classified Supervisors. The District will continue inviting and making efforts to have all of our labor partners agree to contract negotiations and work with us on addressing our budget challenges. 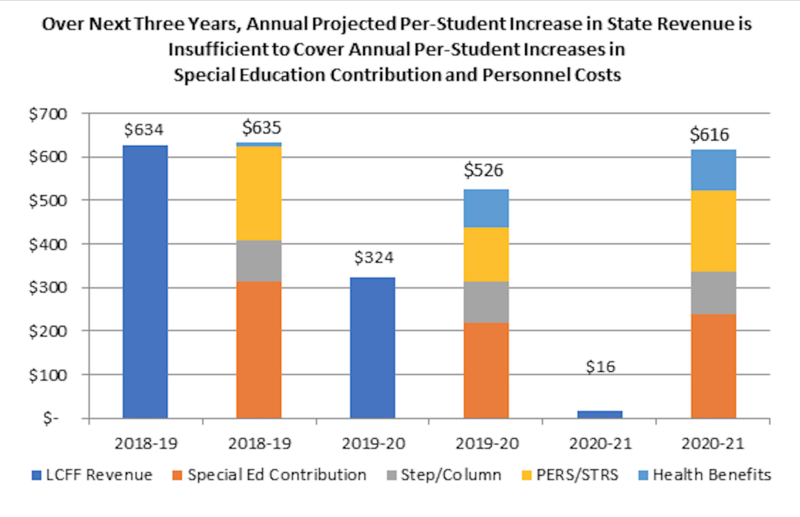 The bottom line is that despite a 3.5 percent increase to education in the Governor’s proposed budget, our District still must significantly reduce overall spending to achieve the cost savings targets needed to avoid state takeover. District leaders understand this somber news, and County Superintendent Dave Gordon’s letter last week agreeing with the District’s self-certification of “negative” status, will continue to raise serious concerns about our ability to protect funding for core academic and student programs. To date we have been able to keep cuts away from students. However, continuing to keep cuts away from students will require shared sacrifice and all labor partners working collaboratively with the District to achieve additional cost savings. To help the community better understand our current situation, below is a basic breakdown of the key factors that led to these latest budget projections. Student enrollment plays a significant role in how much funding the District receives from the state. The District has had a continuous trend of declining enrollment over the past 17 years, and has continued to lose students this year. The District is projecting an enrollment loss of 384 students in the 2019-20 school year, translating to a projected $3.5 million loss in revenue in 2020-21. 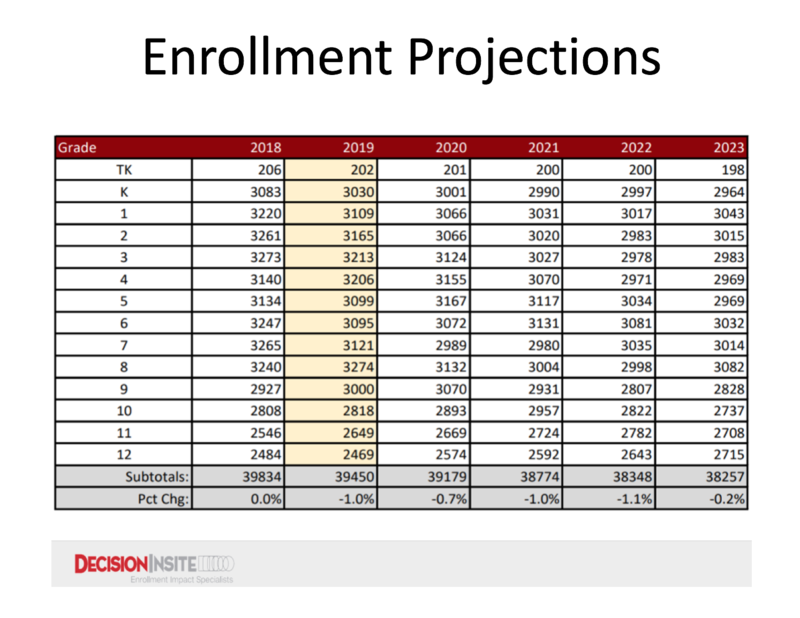 Click here to view year by year enrollment projections. 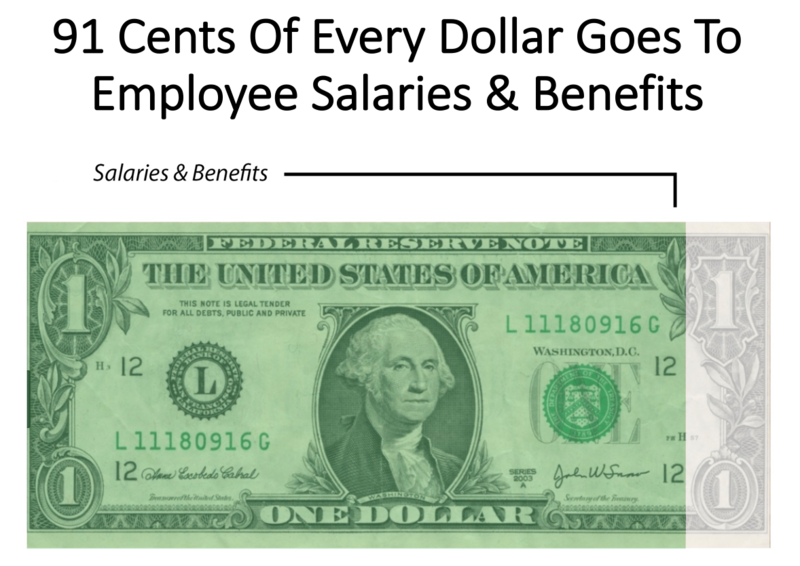 One of the biggest cost drivers in the District is employee health insurance. In fact, Sac City Unified continues to spend far more per pupil than all other school districts in California to provide health benefits to current employees and retirees. 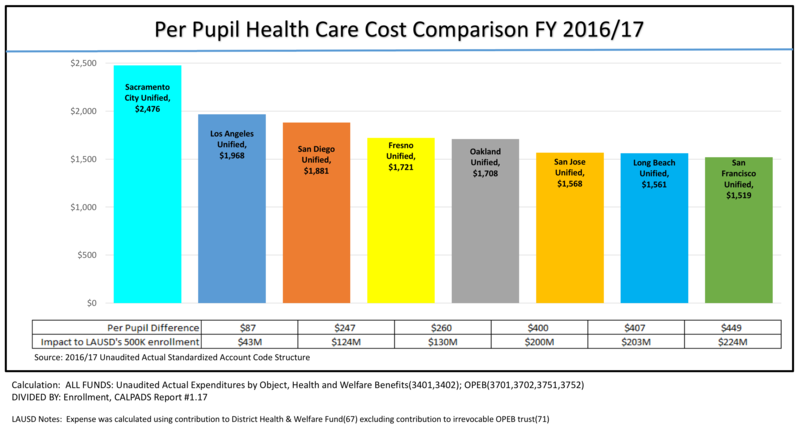 Until the Sacramento City Teachers Association agrees to switch health plans to less expensive health plans with comparable benefits, the District projects its health costs will continue to increase in 2019-20. In addition, the District is being mandated by the state to continue contributing more toward the CalSTRS and CalPERS pension systems to ensure those retiree systems remain solvent (see next section for more details). The Governor’s K-12 Budget proposal does not include any one-time funds, but does seek to increase state funding to school districts by approximately 3.5 percent. The District appreciates Governor Newsom’s increased investment in education and other proposals focused on reducing costs. However, in Sac City Unified, our costs continue to significantly outpace the 3.5 percent proposed increase in our revenues. Our structural budget deficit will remain unless District spending is reduced. The Governor’s proposed budget also seeks to reduce the CalSTRS employer contribution rate by approximately 1.0 percent in 2019-20 and 2020-21, as well as to reduce our out-year contribution rate by 0.5 percent. Assistance from the Governor in bringing down this cost is certainly welcome. However, it will not generate enough savings to prevent our District from running out of cash this year, or to balance our budget in future years. 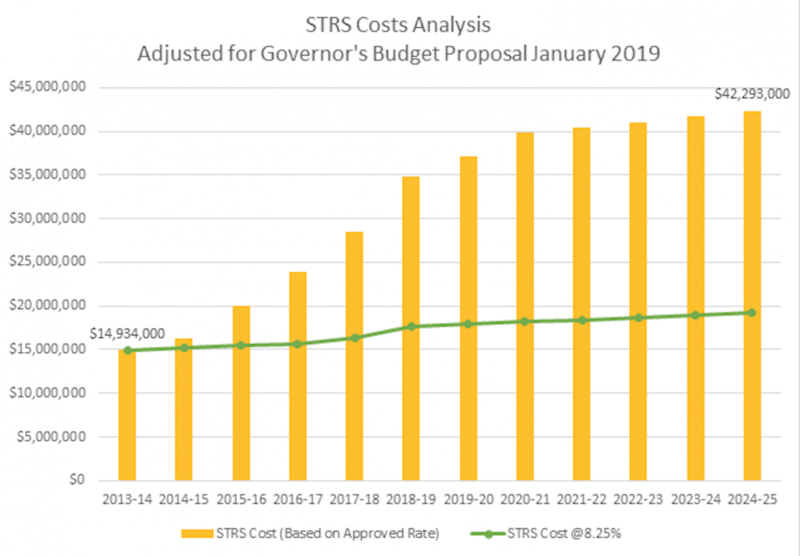 The chart below shows that over a 10-year period, our projected STRS costs, even with the Governor’s proposed STRS contribution decrease, will still be almost three times more than in 2013-14. Again, we appreciate the Governor’s increased investment in education but understand that despite a 3.5 percent increase to education in the Governor’s proposed budget, our District still must significantly reduce overall spending to achieve the cost savings targets needed to avoid state takeover. Our Board of Education is committed to preventing this from happening. This email is to update you on the progress we are making in starting critical discussions with labor partners so that we can achieve the cost savings necessary to avoid state takeover. We are pleased to share that today we met and had productive discussions with our labor partners, United Professional Educators (UPE) and SEIU 1021. We also have meetings scheduled this Friday with Teamsters and Teamsters Classified Supervisors (TCS). The Sacramento City Teachers Association (SCTA) has not agreed to dates to begin negotiations. Nevertheless, the District had a previously scheduled meeting from 4:00 p.m. to 5:00 p.m. this afternoon with leaders from the SCTA to discuss their cost savings ideas. Superintendent Aguilar waited until 4:20 p.m. in anticipation of listening and discussing SCTA’s cost savings ideas. Unfortunately, SCTA leaders showed up late to the designated meeting location. After several minutes of District staff being interrupted and talked over, our staff left the room as it was clear that such an environment would not allow for a productive discussion. The looming possibility of the state taking over the District requires that each of us engage in productive discussions focused on the goal of avoiding state takeover. Our District’s Civility Policy calls for all of us to demonstrate mutual respect, civility, and orderly conduct and model such behavior for the children we serve. We must all keep this policy in mind, especially at this critical juncture where we must have difficult conversations focused on continuing to have local control as opposed to state takeover of our District. Validation of Cost Savings Estimates – SCTA proposes that their ideas would generate $60 million in savings. The District had planned to ask about whether these estimates had been validated by independent school finance experts. Retiree Health Insurance “Overpayment” – SCTA proposes that the District can save $12 million by “redirecting” retiree health insurance “overpayments”. The District has a fiduciary obligation to make these payments, which are to cover the cost of providing lifetime health benefits. After discussing this SCTA proposal with the Sacramento County Office of Education (SCOE), it is premature to estimate a $12 million savings. The District had planned to ask questions to better understand SCTA’s position given that SCTA members are beneficiaries of lifetime medical benefits. Administrative Cuts – SCTA proposes that the District can save $16 million by eliminating administrative positions. The District had planned on seeking specifics regarding which administrative positions SCTA would eliminate. It is worth noting that almost half of the positions listed in SCTA’s cost savings ideas are either principals or other school site administrators, not central office administrators.Please click here to read the District’s full response to SCTA’s claim that the District can cut $16 million from its administration. “Vacation Buyout” Savings – SCTA proposes that the District can save $6 million per year by ending “vacation buyouts”. The District has analyzed this idea and determined that there is not $6 million worth of savings in this area in future years. However, the District is committed to saving money by enforcing vacation time policies and has already taken a number of steps to reduce this cost in future years’ budgets. You can read a full summary here of the steps already taken by the District to reduce this cost. The District remains optimistic that all five labor partners will continue to work collaboratively to solve our budget challenges and avoid the damaging effects that a state takeover would have on our students.  In a future update, we will send detailed information about the negative consequences a state takeover would have on our students and families. We will continue keeping you updated with the latest information on our budget. Thank you. I want to provide an important update on some critical next steps our school district is taking to address the structural budget deficit and keep budget cuts away from our students. Adopting FCMAT’s recommendations will help fix a number of improper business practices that have become norms in the district for many years. The Board of Education and I are committed to changing the organizational culture that has led to these improper business practices and will implement business process changes immediately, holding all employees accountable to adopting these new practices. While implementing new practices and accountability measures is important, to avoid running out of cash we must work collaboratively with all labor partners to immediately achieve health cost savings. 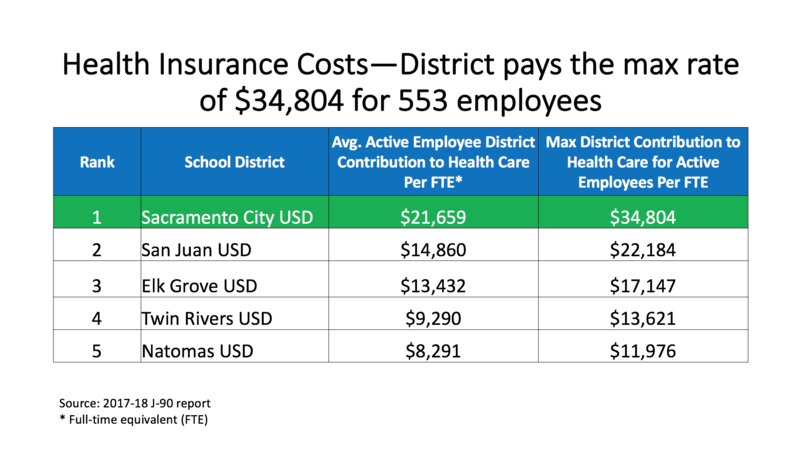 As has been reported in the news, the ongoing cost driver for Sac City Unified is its long history of paying significantly more for employee health benefits than all other surrounding school districts. For example, Sac City Unified pays almost twice as much as neighboring districts to provide similar health benefits to employees. I remain committed to getting all labor partners to work with the district as soon as possible to switch employees over to more affordable health insurance plans with comparable benefits. The longer it takes to switch health plans and save money, the more likely the district will run out of cash and be taken over by the state. On December 6th, four out of five district labor union partners—SEIU 1021, United Professional Educators, Teamsters Local 150 and Teamsters Classified Supervisors—committed to switching health insurance plans to save the district an estimated $11 million to $16 million per year. On Friday, December 14th, district representatives met with the Sacramento City Teachers Association leadership team and other representatives, to discuss what it would take for SCTA to agree to make a switch in health plans. SCTA leadership indicated that they would switch SCTA members to a more affordable health plan, but only if the cost savings were used to, among other things, hire an additional 220 certificated staff. Clearly, using health savings to pay for new positions is not going to save the district any money. While an agreement with SCTA leadership was not reached on Friday, I remain optimistic that they will soon understand the value of switching SCTA members to a more affordable health plan and applying the savings achieved toward covering the cost of teacher salaries and benefits. I will continue to keep you updated on the latest developments on our budget situation. Thank you for your patience as we work to resolve this challenge. We want to inform you that this evening we concluded a meeting on health savings with our labor partner, the Sacramento City Teachers Association. The two parties had a focused discussion on how we can work together to switch to a more affordable health plan with comparable benefits. Both the district and SCTA have agreed to continue discussions on new health plan options as early as next week. We look forward to continuing the process and taking steps necessary to reign in the significantly high cost of providing health insurance to district employees so that we can redirect more of those funds toward our students. The district looks forward to meeting with Sacramento City Teachers Association leaders at 4pm this afternoon to discuss the specific next steps necessary to achieve health insurance cost savings so we can balance our budget next year, avoid running out of cash and protect and expand programs for our students. We will continue to keep the community updated on the status of these discussions. We know our students and families are depending on us to work together to implement health care cost savings so we can prevent running out of cash next year and avoid state takeover. Today, we regret to inform our community that under the current circumstances we are facing, the Sacramento City Unified School District is projected to run out of cash next November. This is our reality despite the fact that we have identified over $19 million in cost savings. Without further actions, this means the District would be unable to fulfill its financial obligations and would not have enough cash to cover employee payroll, payments to vendors and others. To prevent the District from running out of cash, we must immediately identify additional cost savings to balance next year’s budget. While it is painful to share this news with our community, we remain committed to working as hard as possible to address our budget challenges. In recent months the District has taken various steps to achieve as many cost savings as possible in areas where negotiations are not required. However, the greatest cost savings by far would result from all of the District’s labor union partners agreeing to switch over to more affordable health plans. Reports provided by school districts to the County Office of Education show that Sac City Unified spends significantly more to provide health benefits than all other Sacramento area school districts. Therefore, the largest savings would be achieved if labor partners agree to switch over to more affordable health plans. This action requires agreement from the District’s five labor partners. An independent analysis provided to the District by the non-profit California Education Coalition for Health Care Reform (CECHCR), a nonprofit group that works with school districts to reduce health care costs, showed the District could save between $11 million and $16 million annually if labor partners agree to make the switch in health plans. Last week, four of the District’s five labor union partners took an important step to help actualize these health cost savings. In a joint announcement with District leaders, SEIU 1021, United Professional Educators, Teamsters Local 150, and Teamsters Classified Supervisors, all signed an agreement to switch to more affordable health plans with comparable benefits. If you have not already seen it, please watch and read news coverage of this announcement or watch a video replay. The District has made the same proposal to SCTA and hopes to reach agreement soon. The District recently offered SCTA three dates this month to meet again on this important issue. The District remains optimistic that we will soon have agreement with all labor partners to switch over to more affordable health plans by selecting benefit plans similar to those currently offered, but that cost significantly less. To be clear, paying less for health plans would not mean losing benefits. Meanwhile, the District is implementing other cost savings strategies that do not require negotiations to save what it can. For example, the District continues its trend of reducing how much of its general fund is spent on administrators. The District now spends 4.39 percent of its general fund dollars on general administration, the lowest in the Sacramento region. By comparison, surrounding school districts spend an average of 5.71 percent of their general fund dollars on general administration. 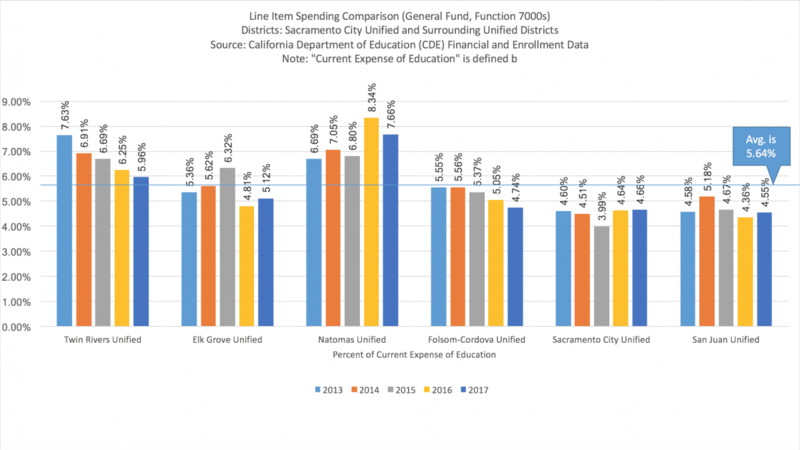 Click here to see California Department of Education data showing how much less of its general fund Sac City Unified spends on administration than surrounding school districts. While operating a lean administration helps the District achieve some short-term savings, under-staffing has long-term financial consequences. Under-staffing results in employees being unable to utilize vacation time—a benefit the District is required by law to allow employees to accumulate and use, or cash out if unused. Since Sac City Unified has traditionally been understaffed with many employees unable to utilize their vacation time, the District has had to take action in recent months to reduce this financial liability and prevent it from growing. Implementing a “use it or cash it out” policy this year for vacation time has saved the District approximately $4 million in future liabilities. To view cashed out vacation time for unrepresented staff, click here. While these actions have resulted in some savings, they will not yield the ongoing large savings needed to keep the District financially solvent in the long-term. The key to long-term cost savings is to work collaboratively with our labor partners to switch over to more affordable health plans and lower the cost of providing employee health benefits, which four out of five labor union partners are committed to doing. The District will continue to keep you updated on the status of our budget situation and important developments as they occur. Thank you for your patience as we continue to work through this challenge. This week four of the district’s five labor partners—SEIU 1021, UPE, Teamsters Local 150 and Teamsters Classified Supervisors, signed an agreement to implement health cost savings with the help of the California Education Coalition for Health Care Reform (CECHCR), a nonprofit group that works with school districts to reduce health care costs. We are optimistic that all of our labor partners will agree to implement these cost savings, which requires selecting a specific health plan that will replace an existing plan, and then notifying CECHCR of that selection and a start date. To better understand the importance of achieving health cost savings to help solve our budget challenges, please watch the recent news coverage on this issue or watch the replay of the announcement which is posted on our website. Thank you. As we continue preparing a plan to address the district’s structural budget deficit to advance our vision of Equity, Access, and Social Justice, we want to share an important action we have taken to resolve claims that the district is responsible for expending more resources in salaries than that which we understood had been agreed upon last year with our labor partner, the Sacramento City Teachers Association (SCTA). The SCTA, however, has claimed that the district agreed to an expenditure that has been estimated at 7.1% for 2018-19 and thereafter. This amount is significantly higher than the amount we understood was agreed to by the parties, and which was actually approved by our Board, reported to and approved by the Sacramento County Office of Education, and planned for in our budget. The district seeks to resolve this matter in court so we can continue to plan a budget that is focused on protecting core academic programs and enrichment opportunities for students and maintains the fiscal solvency of the district. To that end, this morning we filed a complaint in Sacramento County Superior Court requesting a declaration from the court that there is not an agreement between the district and SCTA regarding the 2018-19 salary structure, let alone an agreement to pay significantly more than the terms of our contract which were ratified by our Board of Education on December 7, 2017. We will continue to provide updates on proactive measures we are taking to reduce costs, achieve savings and protect resources for our students and families. Thank you. As our district continues working on a solution to our structural budget deficit, we want to inform you of an important reform that is now being implemented to reduce future spending. You may have read news articles in recent years such as this one in the San Jose Mercury News or the 2015 Center for Investigative Journalism piece revealing that some state employees were cashing out their accrued vacation for hundreds of thousands of dollars. Failing to control the cost of accrued vacation siphons away resources from our students and schools. That is why under the leadership of Superintendent Jorge Aguilar, the Sacramento City Unified School District is now implementing a “use it or cash it out” policy that will rein in and reduce the financial burden on the district of paying out unused vacation time. This is an important step in reducing the financial burden that high leave balances have on the district. Since implementing this policy, the district has reduced its financial liability by approximately $4 million. Here’s how it works: Vacation time is an employment benefit. When accrued vacation time is not used by an employee, the employer has an obligation to pay out the value of that benefit when the employee leaves or retires from the agency. By putting a policy in place that requires employees to use their vacation or cash it out, the district prevents situations where employees are hoarding vacation time and then receiving large lump sum payouts when they leave. Our labor partner, the United Professional Educators, has also agreed to help the district further reduce our future costs by decreasing its members’ number of vacation days from 22 to 5 per year. In fact, new UPE members hired after July 1, 2017 will not accrue any vacation time. This reduction in vacation days will help the district save money. In addition, non-represented management employees are now required to either use or cash out any vacation carry over above 15 days to further reduce the district’s financial liability and lessen the cost of vacation benefits so more resources are available for our students. Click here to learn more about state laws pertaining to employee vacation time and the district’s obligations to comply with these laws. We will continue to keep you updated on steps we are taking to save money. Last night our Board of Education voted to continue working with our local Sacramento County Superintendent, fiscal advisor and labor partners to address the district’s budget deficit. Voting to continue working locally and waive the formation of a Budget Review Committee that would be handled at the state level, allows the district and stakeholders to continue working together at the local level to address the budget deficit and chart a course toward financial sustainability. Click here to view the budget update presentation at yesterday’s Board meeting. The district will now continue working collaboratively with all partners and the County Superintendent to meet a December 14, 2018 first interim report and balanced budget deadline. The district has also started working with the state’s Fiscal Crisis & Management Assistance Team (FCMAT) on a fiscal health analysis of the district that FCMAT is anticipated to complete this December. We will continue to keep you updated on the latest news and information related to our budget situation. For more information including responses to frequently asked questions, please visit our Budget Review Process web page. Thank you for your patience as we work through this process. We are writing to inform you that, as anticipated, the Sacramento County Superintendent has sent a letter disapproving the school district’s revised budget that was adopted on October 4, 2018. Prior to submitting our revised budget, we notified the County Superintendent that while our revised budget included approximately $10 million in cuts, many to our central office and administration, we knew it did not contain sufficient reductions to completely eliminate the district’s structural deficit. In order to minimize the impact to students, we notified the County Superintendent that we needed more time to work alongside the Sacramento County Office of Education, the County Superintendent’s appointed fiscal advisor, labor partners and our community to chart a sustainable course that is thoughtful and student-centered. The fiscal challenges facing Sac City Unified are the result of the district’s decades-long history of operating with an ongoing structural deficit that has not sufficiently prioritized meeting the needs of students. Making real, solid, and permanent reductions in expenditures to address our longstanding fiscal problems will require courage and commitment and working in collaboration with all partners and stakeholders. Quick fixes made within the 30-day period we were given, would not have served students well. That is why we decided to adopt initial cuts on October 4th that will not harm our students, while seeking more time to work on solutions that will solve our long-term structural deficit. Our fiscal challenges can and will be resolved; however, not with a quick fix. The way forward is working in partnership with shared ownership of the solution. There is no other way to solve this. We have to create a functional collaborative coalition between the district’s bargaining partners, the SCUSD Board of Education, and the community. Successful models are out there, and we need to look no further than our own backyard where Elk Grove Unified School District has a working coalition of the district’s union leaders. Together, they take responsibility for the health of the district’s budget and work together to keep the organization fiscally sound. In Sac City Unified, over the past few months we have been working diligently to bring together our labor partners and we are very close to achieving this model. In fact, four of our five labor partners have formed an unprecedented labor-management consortium dedicated to coming up with sustainable solutions by coming to the table and reworking budget priorities that focus on supporting students. The solutions we reach in the weeks ahead must come from meaningful input from all stakeholders and reflect the values of fiscal prudence as well as our unwavering commitment to student success. Our current and future generations of students are counting on us to come together to solve this problem. We are determined not to let them down. Below are PowerPoint slides presented at last night’s meeting which summarize $11.48 million in budget adjustments and cost reductions approved by the Board. We would like to inform you that we have updated our frequently asked questions page with a response to a question related to the district’s administrative positions and costs. Copied below is the question we have received and our response. Please visit the district’s FAQ page for all responses to the most common questions we have received. Thank you. Has the district’s number of full-time administrators grown from 190 employees in 2014-15 to 271 employees in 2017-18? In 2014-15, the district actually reported employing 232.2 administrative full-time employees. In 2017-18 the district actually reported employing 267 administrative full-time employees. Four (4) of these positions were vacated and left unfilled at the end of the fiscal year in compliance with the hiring freeze adopted by the Board of Education, leaving the district with a total of 263 administrative full-time employees to start this fiscal year. Almost half, 49% (129) of the 263 administrative positions, are held by Principals, Assistant Principals, Site Instructional Coordinators, Student Support Services Coordinators, and other positions directly serving students on school sites. Click here to view a listing of all job titles and salaries for these 129 FTEs. Roughly 12% (33) of the administrative positions are supporting school sites in instructional supervisorial roles, maintenance and operations, and pupil transportation. For example, these positions include our Director of Guidance and Counseling, Chief Operations Officer, Student Transportation Supervisors, and Manager for Facilities Maintenance. The district also employs a grant writer through this funding source and this individual has garnered nearly $75 million in funding for Sac City Unified since the 2014-2015 academic year. Click here to view a listing of job titles and salaries for these 33 FTEs. “The Sacramento City Unified School District’s fiscal problems are structural, complex and not new. The fiscal challenges are the result of the district’s decades-long history of operating with an ongoing structural deficit that has not sufficiently prioritized meeting the needs of students. Making real, solid, and permanent reductions in expenditures to address our longstanding fiscal problems requires courage and commitment and working in collaboration with all partners and stakeholders. Quick fixes made within a 30-day period will not serve students well. Therefore, we have notified the Sacramento County Superintendent that the revised budget we plan to submit by the state required October 8th deadline, while making approximately $10 million in cuts, does not contain sufficient reductions to completely eliminate the structural deficit. We simply need more time to work alongside the Sacramento County Office of Education, the County Superintendent’s appointed fiscal advisor, labor partners and our community to chart a sustainable course that is student-centered. We want to share that since September 10, 2018 the district has been working closely with the fiscal advisor appointed by the Sacramento County Superintendent of Schools to review the district’s budget numbers for accuracy. The amount of cost savings the district needs to achieve to eliminate its structural deficit has been revised after our review. The current structural deficit amount after the review is now $28.5 million in 2019-2020 and $19.5 million for 2020-2021. The updated amount reflects changes made after checking for accuracy and reviewing cost information. See chart below for more details. We will continue to update you on our progress as staff continues to work on a revised budget proposal for the Board of Education meeting this Thursday. We plan to send out another update tomorrow but want to keep you apprised of this information for now. Thank you again for signing up to receive budget alerts from the Sacramento City Unified School District.  The district would like to inform you that our website has been updated with responses to two new frequently asked questions and their responses. Please check the bottom of this email for the two new FAQ’s and responses that have been added to our web page. You can access all of the FAQ’s here. We are still working to schedule a public meeting date for presenting a revised budget. Once that date has been scheduled, you will be notified. Thank you for your continued patience during this process. No. It was disapproved because the County Superintendent is required by law to provide fiscal oversight of the district’s finances and the district’s budget has projected deficit spending that will leave the district without any reserves before the end of the 2019/20 school year. The district’s adopted budget although having sufficient resources to pay expenses for this year, did not include sufficient reserves for outgoing years. Does the district have a top-heavy central office and high amount of administrative overhead? Not in comparison to other school districts. This can be determined by how much of the district’s overall budget is spent on administrative expenses allocated to the central office. 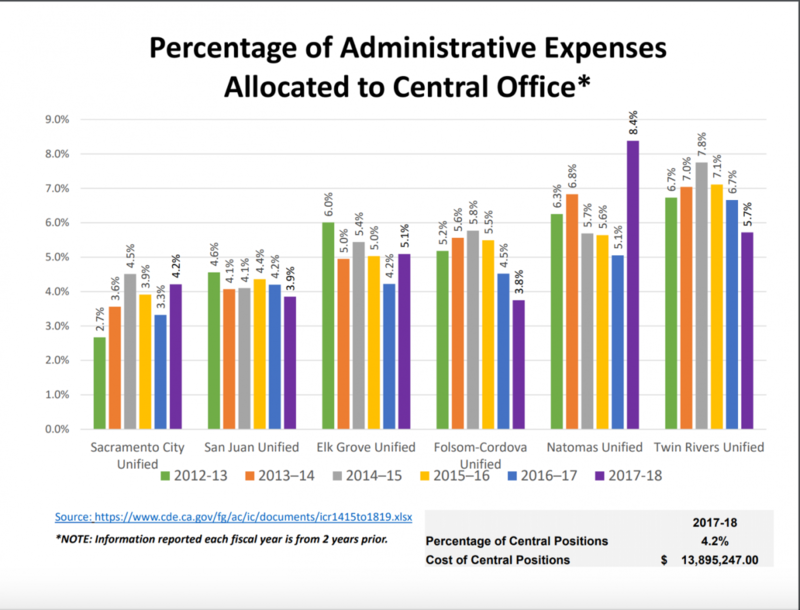 The district’s records show administrative expenses allocated to central office have actually decreased from 4.5 percent of unrestricted general fund budget in 2014-15 to 4.2 percent of unrestricted general fund expenditures in 2017-18. These figures show an overall decrease in central office and administrative spending during this time period. It is worth noting that the district’s budget significantly increased during this time period. From the 2014-15 fiscal year to the 2017-18 fiscal year, the district’s budget grew from $333,320,568 million to $395,468,056 in state and local unrestricted general fund revenue sources. The larger revenues led to hiring more staff at all levels of the organization to implement programs and services dedicated to low-income, foster, and English Learners paid for with these revenues. By comparison, the number of teachers employed by the district also grew during this time period.  For example, in 2014-15 there were 2,298 certificated (i.e. teaching) FTE employees in the district. In 2017-18 that number grew to 2,521 certificated FTE employees in the district—an increase of 223 teaching positions*. That increase in hiring of teachers would be equivalent to fully staffing classrooms at McClatchy High School three times. See chart below for how Sac City Unified’s administrative expenses as a percentage of its budget compare to surrounding districts. Answers to frequently asked questions that the district has received since the announcement of our budget disapproval, are now posted online on our budget review process page. Click here to view the FAQ’s. The FAQ’s will be updated frequently in the coming days leading up to the October 8, 2018 deadline to submit a revised budget to the Sacramento County Office of Education. Remember that if you have a question, our public information office will work to respond with an answer. Please submit your questions here. Thank you for subscribing to receive updates from the Sacramento City Unified School District regarding the recent disapproval of the 2018-19 adopted budget. In the coming days, you will be receiving more updates from the district about this topic, including answers to frequently asked questions and when a public meeting will be held. You can also visit our website for updates and information. We want to clarify the reason why the district’s 2018-19 adopted budget was disapproved by the Sacramento County Office of Education (SCOE). 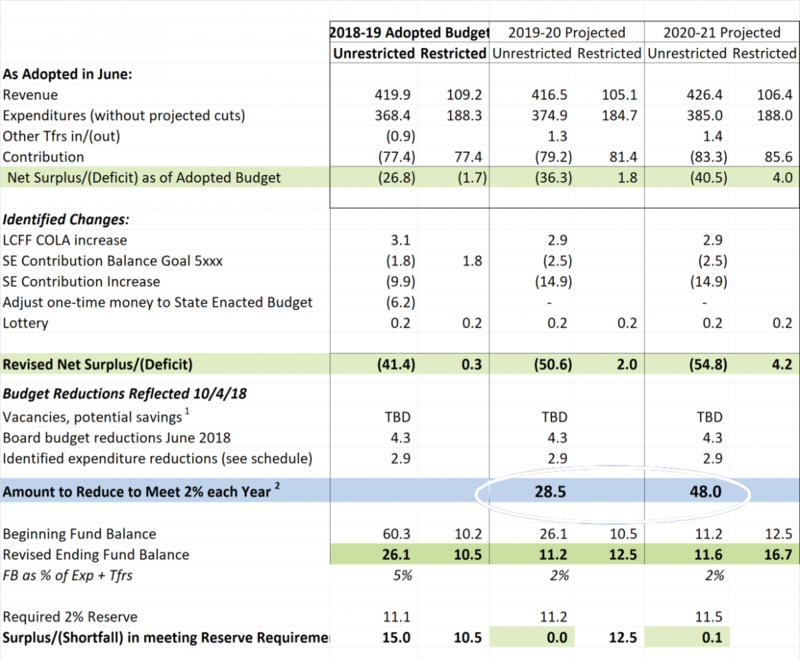 It was disapproved because sufficient funding was not set aside in savings (our reserve) to meet the state’s mandated requirement to maintain a minimum 2 percent reserve in fiscal years 2019-20 and 2020-21. A minimum reserve is necessary so that we are structurally addressing our long-term fiscal challenges and able to meet the needs of our students in future years. Per Education Code 42127d, an independent fiscal advisor has now been assigned by the SCOE to work with the district to help remedy our financial sustainability challenges. The independent fiscal advisor arrived to the district today and has now begun the process of assessing our budget to help identify options to address our reserve deficiencies in 2019-20 and 2020-2021. No decisions regarding cuts will be made until the fiscal advisor has completed her assessment work. To help raise awareness about the steps the district is now taking in response to the budget disapproval, Superintendent Jorge Aguilar and Board President Jessie Ryan were guests on Capitol Public Radio’s Insight with Beth Ruyak this morning. Click here to listen to the interview or tune in to 90.9FM Capitol Public Radio this evening at 7:15 p.m. Finally, we want to make sure you are receiving accurate information from us about what is going on. If you have questions, please do not hesitate to submit them here.  We will do our best to respond to your questions as quickly as possible. Thank you. At last night’s Board of Education meeting, our Chief Business Officer, Dr. John Quinto, publicly announced that the Sacramento County Office of Education (SCOE) has disapproved the district’s adopted budget for this fiscal year. The school district must now submit a revised budget by October 8, 2018 that addresses our $24 million budget deficit. Understanding that this is a critical issue to our students and families, Superintendent Jorge Aguilar and Board President Jessie Ryan want to share this video message with our community in response to this situation—the first time SCOE has disapproved our adopted budget. We want to assure our community that our commitment over these next few weeks is to work tirelessly to continue making good on the promise of advancing equity, access, and social justice for all students and collectively figure out how to address our budget challenges with the least disruption to our students.  The district has created a webpage to update our community with the latest news on this situation, frequently asked questions and other resources. Please sign up to receive alerts and details on how you can participate in meetings on this issue by visiting: www.scusd.edu/budget-review-process. We want to make sure you are receiving accurate information from the district regarding the disapproval of the 2018-19 budget and what decisions are being made. If you have a question related to the budget disapproval, how it will impact our schools or next steps in the decision-making process, please submit those questions and we will answer them as soon as possible. Thank you.